Events will be held across Britain to celebrate the 50th anniversary of Concorde’s maiden flight on Saturday. Thousands of aviation enthusiasts will flock to museums and airfields where the supersonic airliner is on display. They will have the opportunity to meet Concorde pilots, step on board the aircraft and view footage of the first flight. Recent refurbishment means the distinctive nose of Concorde will be moved at exhibition sites at Manchester Airport, Imperial War Museum Duxford in Cambridgeshire and Brooklands Museum in Surrey. This happened during take-off and landing when Concorde was operational, to give pilots better visibility. Events are also taking place at Fleet Air Arm Museum in Somerset, Aerospace Bristol in Filton, near Bristol, and locations in France and Germany. The first Concorde prototype took off from Toulouse in the south of France on March 2 1969. It was flown for 27 minutes by test pilot Andre Turcat. Born out of a joint Anglo-French project, Concorde’s success was savoured as a moment of intense national pride. Most impressive of all was its speed. A cruising velocity of twice the speed of sound, or 1,350mph, allowed it to cover a mile in just 2.75 seconds. 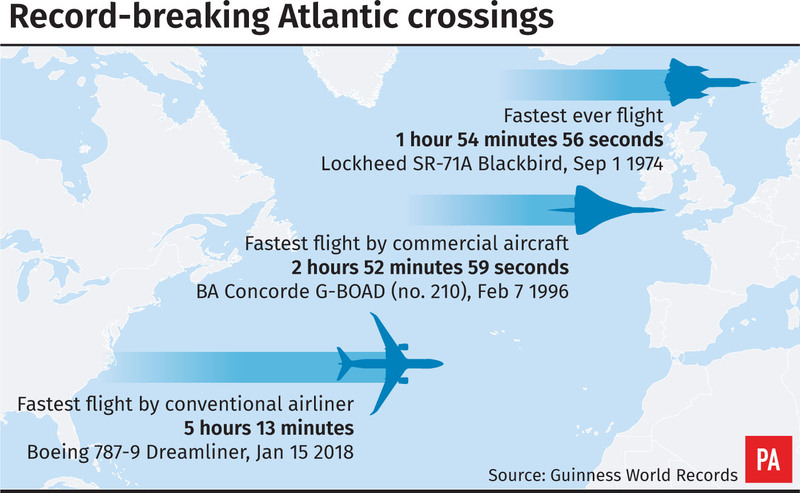 British Airways captain John Tye told the Press Association that he was “glued to the TV” when the maiden flight happened. 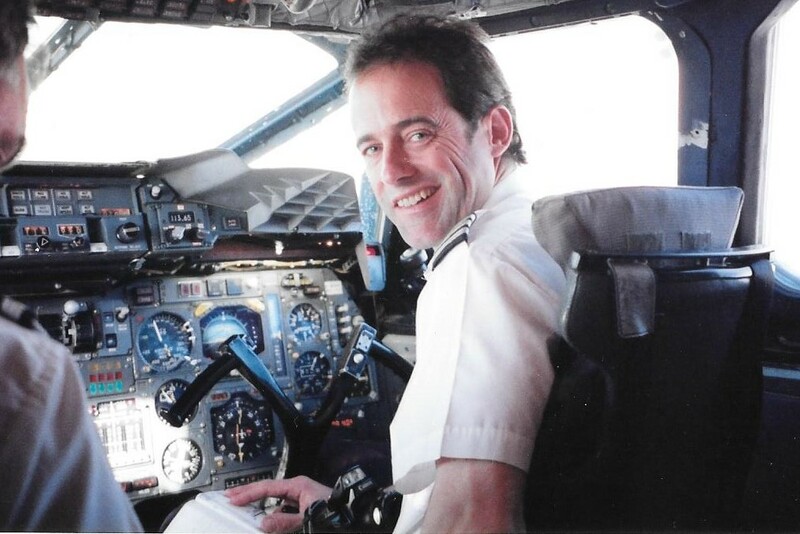 The 61-year-old, from Walton on Thames, Surrey, went on to fly the 100-seater aircraft between 1998 and 2000. He described how it required “absolute precision” and would push through the sound barrier while causing “nothing more than a ripple on 100 glasses of champagne”. Mr Tye, now a training captain on the Boeing 777, said Concorde was a “masterpiece of engineering” and “one of the world’s most beautiful creations”. Jock Lowe, who was the longest serving Concorde pilot, said flying the aircraft was “like driving a sports car compared with a normal car”. Concorde quickly established itself as the way to travel for the discerning tycoon and Hollywood star. Its fine wines and five-star cuisine assured it a large, well-heeled fan base, with regular passengers including the likes of Joan Collins, Sir Paul McCartney and Diana, Princess of Wales. Travelling on Concorde became an experience in itself, with passengers speaking of the “kick in the back” as the aircraft took off. Julie Reynolds, 59, of Cheadle, Cheshire, worked as a cabin crew member on Concorde from 1987 to 1995, describing it as the “gold standard of aviation”. Television host Sir David Frost was one of her favourite passengers as he was “such a gentleman”, she said. “He was very supportive of crew and was always appreciative of what we did. Concorde was retired from service in October 2003, with British Airways and Air France blaming a downturn in passenger numbers and rising maintenance costs.